Kantar Worldpanel UK is celebrating its listing in The Sunday Times Top 100 Companies for the fourth year. The market research agency was listed 72nd in the 2014 ranking of this prestigious scheme. It is a double-celebration as Kantar Worldpanel Ireland has also been recognised in the equivalent Great Place to Work Ireland competition. This is the first year the company has entered Ireland’s respected listing and it was ranked 11th in Best Small Workplaces in Ireland. 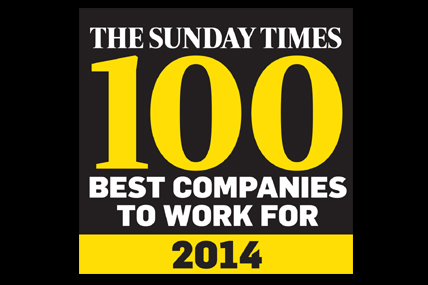 The Sunday Times Top 100 Companies, created by Best Companies, is based on staff opinion across on eight key factors of workplace engagement including management, employee well-being, personal growth and positive impact on society. The leadership of Tim Kidd was highlighted by Kantar Worldpanel staff as a significant factor in employee satisfaction, with 79% of people feeling inspired by their managing director and 75% stating that he runs the company on strong values. Additionally, 81% of staff feel they make a valuable contribution to the success of Kantar Worldpanel, which they describe as having a “strong sense of family with colleagues who go out of their way to help each other”. Great Place to Work Ireland, also measures and recognises success in employee engagement. The scheme assesses staff satisfaction through measures including fairness, respect and credibility, to determine the trust and pride employees feel for their organisation. 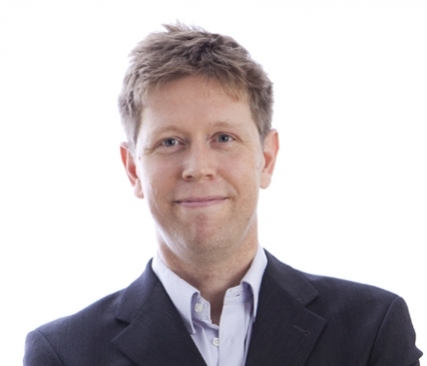 Tim Kidd, managing director of Kantar Worldpanel UK, Ireland and USA, comments: “The recognition for both our UK and Ireland companies is a fantastic milestone for Kantar Worldpanel. We are proud to have continued building on our success, rising further up the Top 100 and joining the Ireland ranking for the first time.